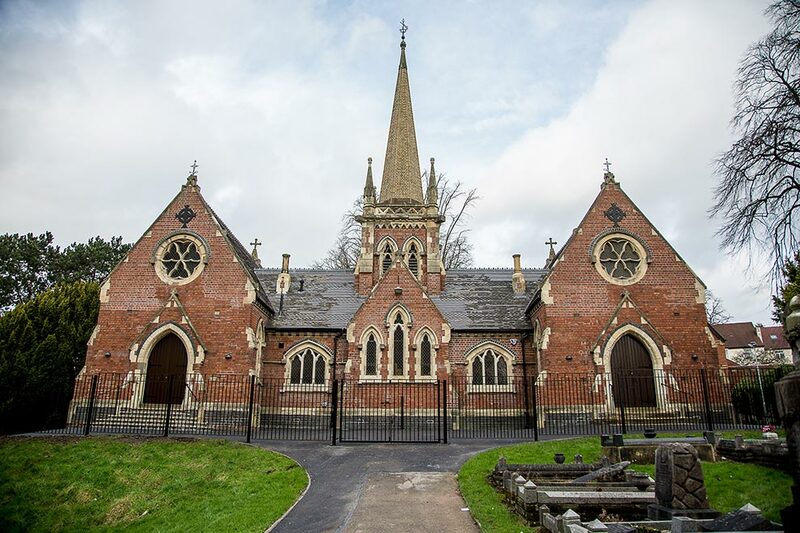 BHB Architects recently completed a sensitive repair and conservation scheme of the Grade II Listed Victorian Chapels in Stourbridge. 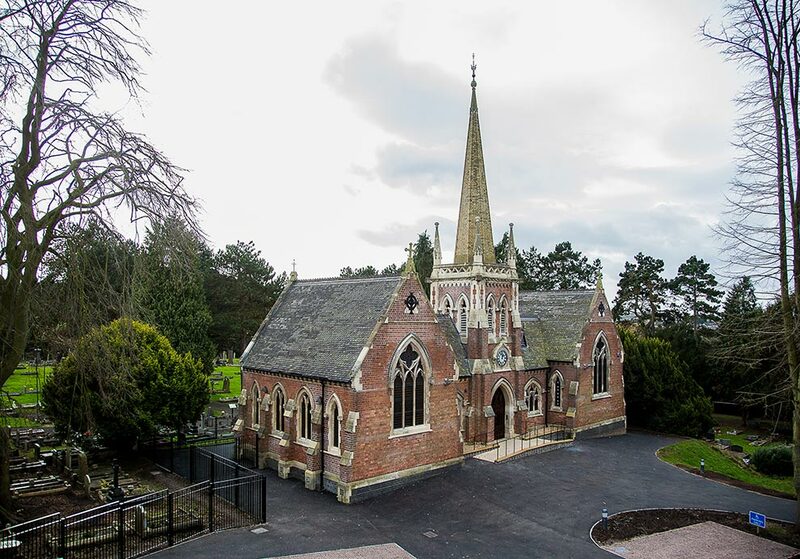 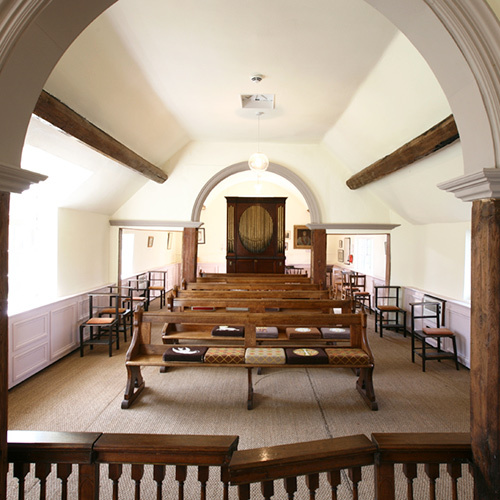 Formerly the Lye & Wollescote Cemetery Chapels, the building is now the Thomas Robinson Building, a venue for civil ceremonies. 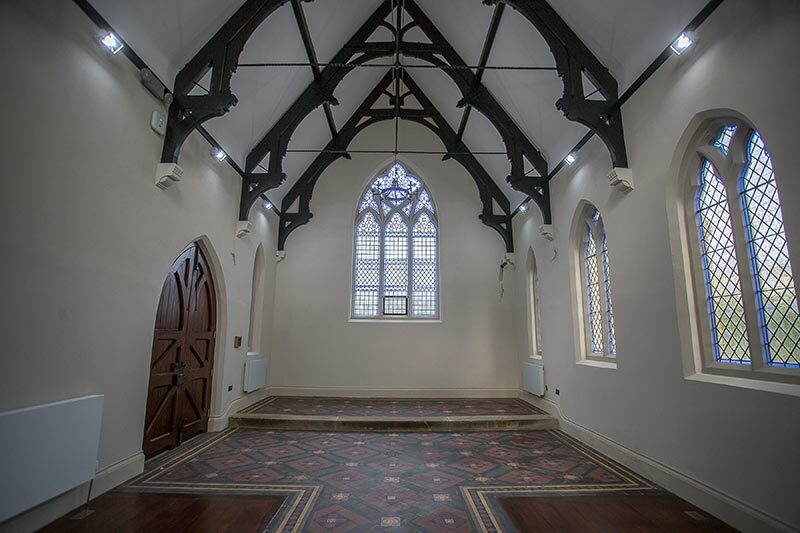 Through the Heritage Lottery Fund (HLF) and working closely with the West Midlands Historic Building Trust, the building has been transformed from a vacant, heavily vandalised chapel into a fully refurbished Registrar's office for Dudley Council. 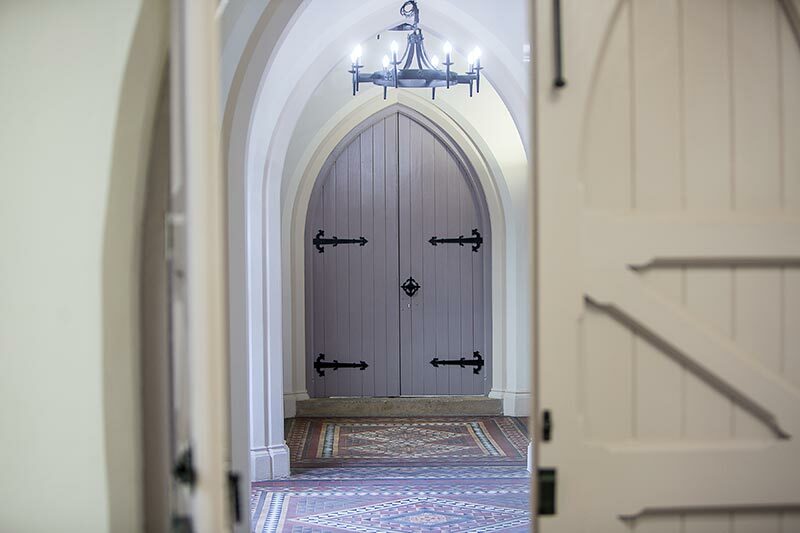 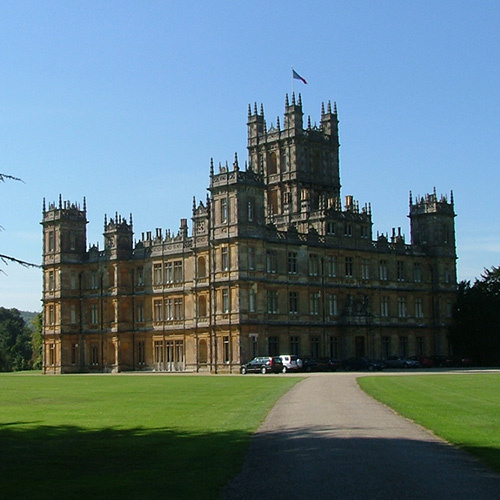 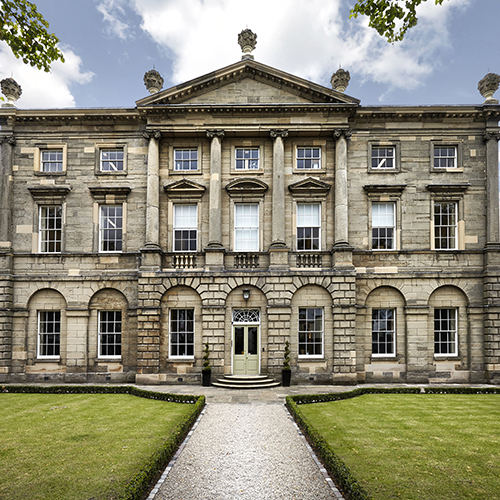 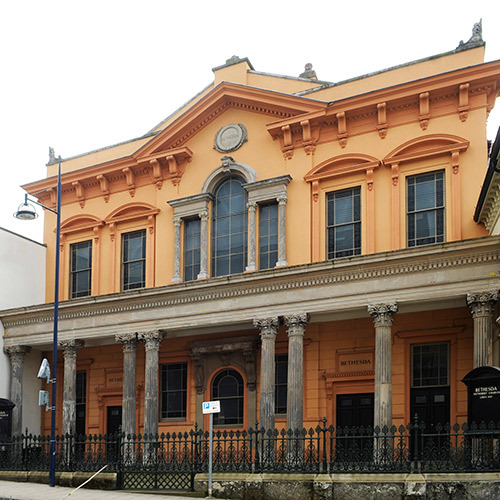 BHB Architects undertook the project through inception and initial feasibility studies to completion, repairing and restoring the building's original historic features and complementing these with modern installations. 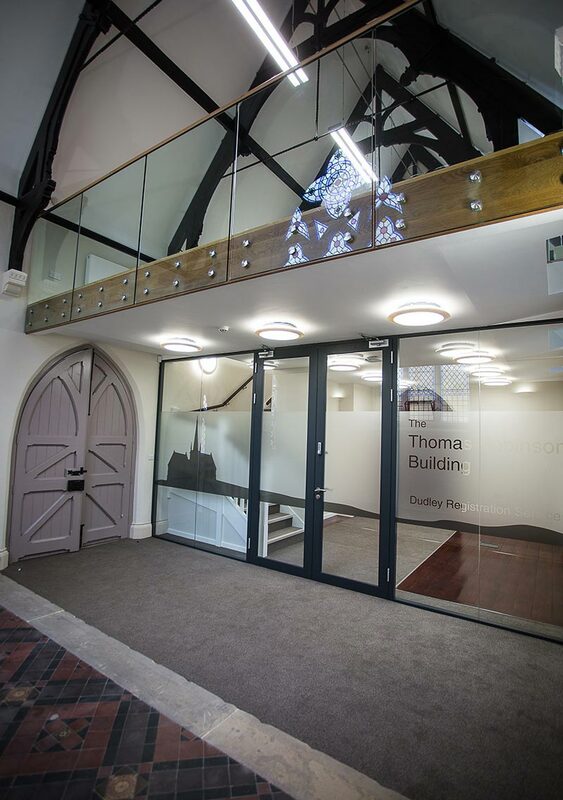 The scheme involved the construction of a new mezzanine level within one of the Chapels with a tapered ceiling and finished with glass sections of floor set within an oak perimeter allowing the stained glass windows to fill the space with natural daylight. 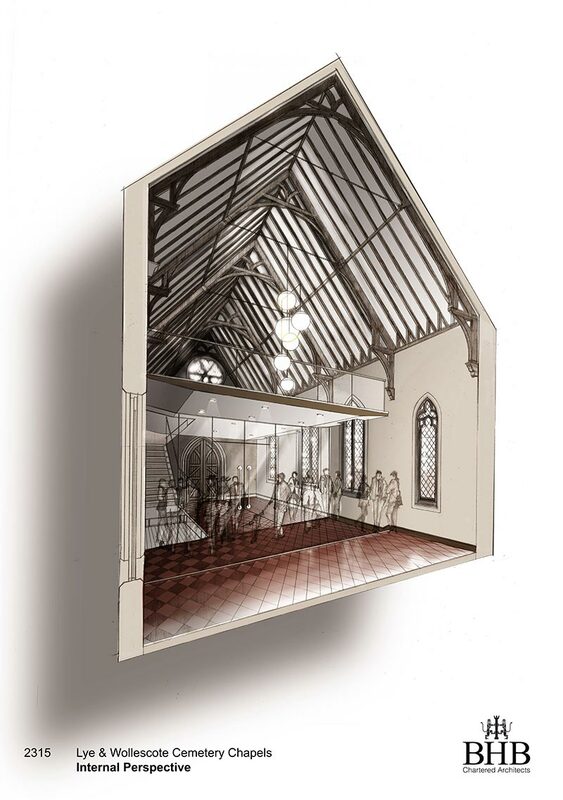 The modern contemporary installations were sensitively detailed to enhance the traditional historic fabric and differentiate the existing from the new.